I know this is shocking news to many of you but let me elaborate. The alphabet is not the REAL foundation of how we learn to read. 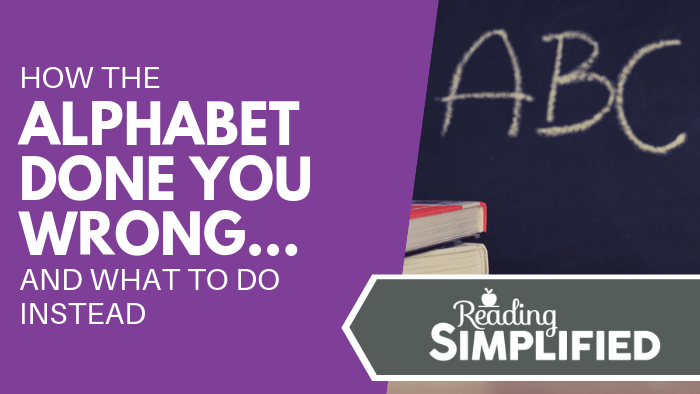 In this blog post, I’m going to reveal exactly why the alphabet isn’t the best foundation for teaching young students to read. 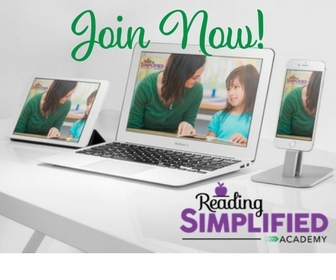 You’ll also learn what the real foundation IS and how you can teach it to your kiddos! But first, let’s talk about the problem with how we teach our kids the alphabet. When we teach students the alphabet, we focus on letter names. The problem with that is the fact that they occlude, or hide, the way our written code works. If we point to a word such as “cat” and say the letter names (i.e. “see ay tee”), we’re making nothing but a nonsense word, /seeaytee/. When we do this the letter names don’t connect to the symbols on the page. It confuses a lot of young readers because they don’t understand how the code works. But, if you were to teach kids the actual sounds of the word -- /c/ /a/ /t/ -- young students WILL see how our code works. Unfortunately, if we continue to focus on letter names, many young kids will keep groping in the dark for a while. They’ll make up ways to understand how our code works. When they come across a long word, they might assume it is “snake” simply because snakes are long! In other words, our lack of implicit exposure to children about how our code works, creates a vacuum of understanding. But this needn't be the case. Did you know that some cultures start with sounds when teaching their kids to read? 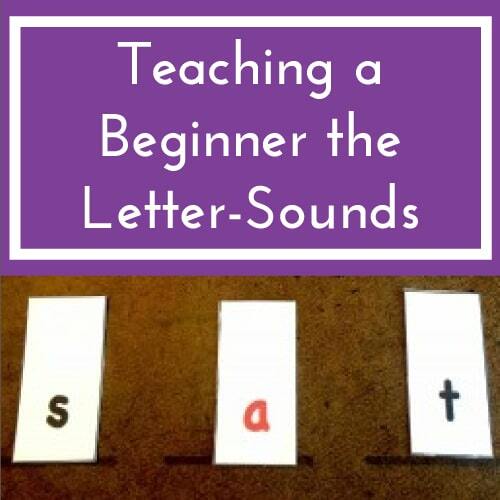 I think beginning with letter-sounds is a great way to teach our kiddos the code because if we BEGIN with letter sounds instead of letter names, the nature of how our code works will become much easier for kids to deduce. 2. Our code is based on 44 sounds, not 26 letters! The second way that our alphabet has misled us is that the 26 visual forms of the letters we use aren’t actually the foundation of how our code works. It’s time that we started looking at our code as a series of 44 sounds that the alphabet letters help us make. Another thing to consider is the fact that our sounds are not always represented by one single letter. When we consider the SOUNDS that our language consists of, we are more likely to teach what really matters the most. In addition, many sounds have multiple spelling representations. So, we shouldn’t let ourselves (or our students) get stuck thinking about the code as 26 letters because it’s not. But, if the alphabet isn't the real foundation of what we should teach, then what IS? The real foundation is the 44 sounds that I mentioned and the essential concept of the alphabetic principle. If you’re not sure what the alphabetic principle is, don’t worry! I wasn’t taught the alphabetic principle when I got my master’s, and I expect many of you are in the same boat with me on this one! 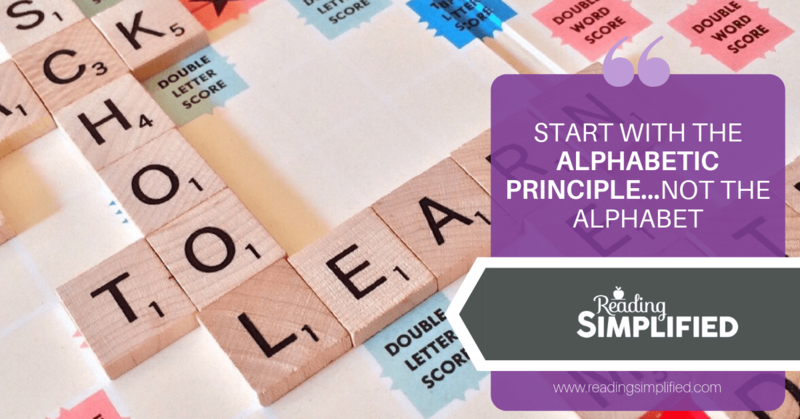 The alphabetic principle is an insight or concept that all young students can be taught pretty easily. They need to understand that our written language is a code for sounds. 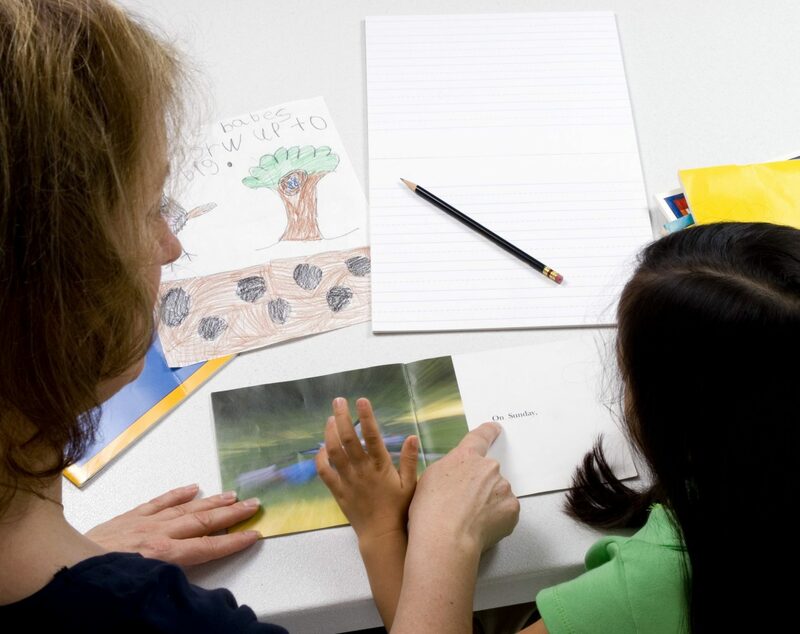 When a young reader sees words on a page, they need to realize that the sounds they hear are connected to those little black squiggles on the page. If you’re like me and you didn’t learn the alphabetic principle in your initial teacher training, please reconsider just how important it is. Ask yourself…are you revealing this important concept to your students? How do we reveal the alphabetic principle to our kids? Teaching young readers the alphabetic principle isn’t a difficult challenge by any means. It’s actually quite simple. When you’re enjoying a storybook together, every now and then you should point and drag your finger along the bottom of a word. Make sure to elongate and exaggerate the sounds as you go: /sssssssseeeee/. Are you reading Brown Bear, Brown Bear? How about this: "Brown bear, brown bear, what do you sssssssseeeeee?" 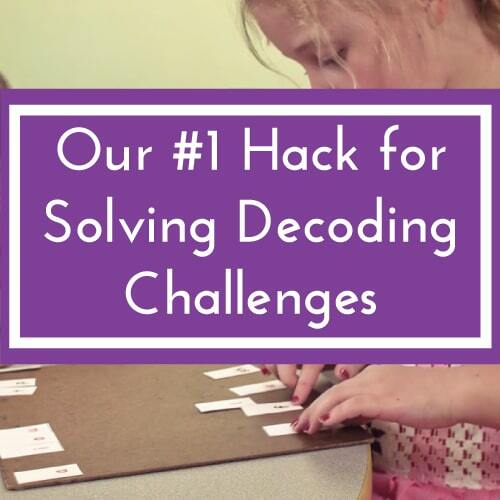 This simple act will draw your student’s attention to the reality of how our code works - it's a code for SOUNDS. Then these kiddos won't have to make up strange ideas about how our written language works! Obviously, you want the kids to enjoy the book. But, by doing this every now and then, you can help kids grasp the concept that the words on the page relate to sounds. A nice side benefit is that they will also simultaneously improve in phonemic awareness, which is the tool that allows successful use of the alphabetic principle. 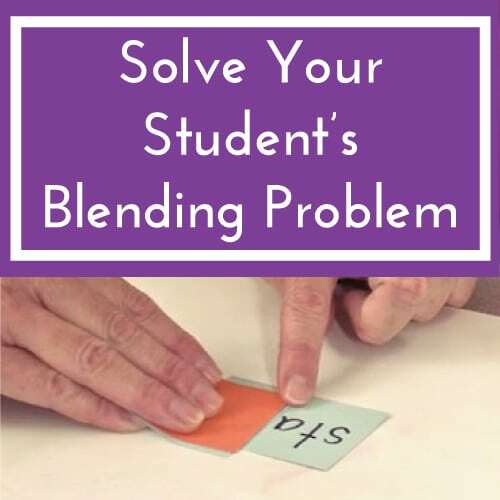 Reading researchers have demonstrated that this easy underlining of print helps young students make connections to decoding much more quickly (examples here and here)! I have first-hand experience about just how easy it is to help our kids learn the alphabetic principle. When I was in a doctoral program learning all about language and literacy, and how vital it is to give kids a lot of stimulation in their first few years of life, I may have been a little too neurotic with our first born. I was always trying to stimulate her brain development! Nursery rhymes, black and white shaped cards, Baby Mozart...you get the idea. One of my strategies was to demonstrate how our code worked as I read aloud to her. I would point and exaggerate the sounds as I read with her. When we read Brown Bear, Brown Bear, What Do You See? I would choose one or two words every so often and emphasize the sounds in those words. She must have implicitly absorbed something about how our written code works along the way. It wasn’t until we were sitting at a restaurant one day when I realized just how well this method worked! So, there we were enjoying a nice family meal together when my daughter pointed to the exit sign. But instead of saying “exit,” she said, “go out.” She even stretched out the sounds in an exaggerated way as I had done during read alouds..../go----- ou-------t/. It was the wrong word. She was not yet a reader. But…she knew that the letters in the exit sign meant something. She was trying to connect them to sounds in words. Yes, you could say I was a very proud mother at this point because I knew she had the alphabetic principle! And early phonemic processing to boot. As a 2 year-old, then, she understood how our code works. It wasn’t long before she picked up better phonemic awareness and the necessary letter-sounds to crack the code. So, she read early...and that began with her early understanding of the alphabetic principle. Playing games with sounds is an excellent way to establish very young children in early reading. Just have fun! We’ve all heard the classic alphabet song, but there are many other ways you can teach letter sounds that go beyond those 26 letters. Montessori classrooms have been playing "I Spy" with the first sound in words for decades. "I spy, with my little eye, something that begins with the sound /mmmmmm/." These early games help to build phonemic awareness, which is the perception of individual sounds in words. Fun games like "I Spy" help to prepare young children to utilize the alphabetic principle. 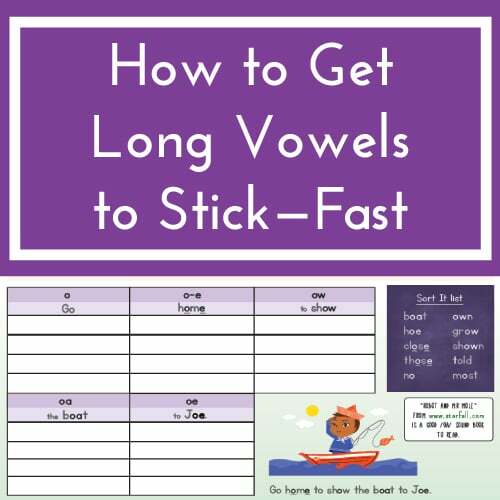 With these two foundational combinations (phonemic awareness and the alphabetic principle) many children will start to read (some words) with almost no other instruction! 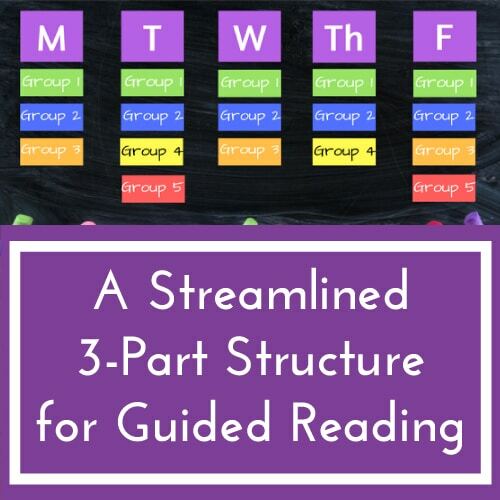 Here at Reading Simplified, we use a quick word work activity for very early readers called Build It. Build It captures so many early reading concepts and skills all in 1 quick minute. This includes everything from the concept of a word, to the concept of the alphabetic principle, phonemic awareness skill, phonemic segmentation, letter-sound knowledge, and early spelling. Build It is an easy activity and a great way to introduce young readers to the concept of the alphabetic principle. BUT it also gives you the opportunity to introduce the actual letter sounds too, so you’re hitting more than two birds with one stone! You can snag our FREE Build It Wordlist by providing your name and email address. When you do this, you’ll receive a free copy of the Build It Wordlist via email, so keep an eye on your inbox for that one!